Looking for healthy salad recipes? 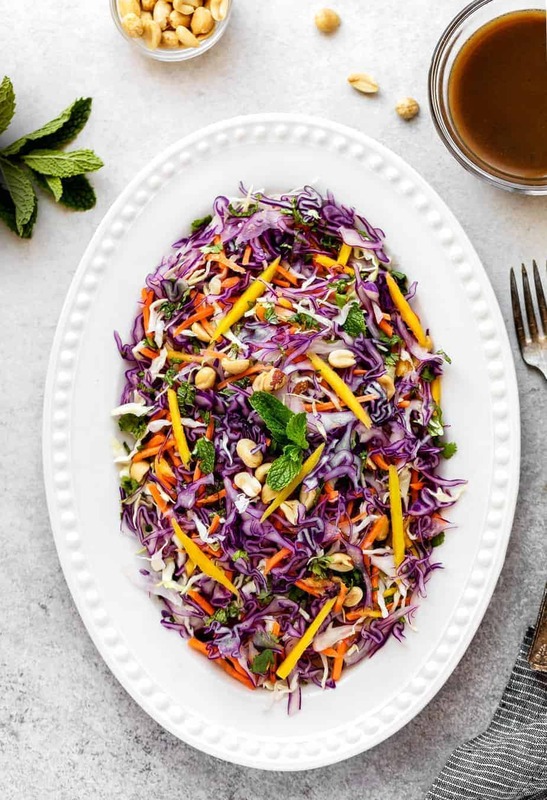 Try this vegan salad, Crunchy Asian Slaw, made of shredded red cabbage, green cabbage, fresh mango, carrots, cilantro, mint, a drizzle of tamarind sauce and roasted unsalted peanuts on top. It’s rich in antioxidants, has very low calories, high in fiber and offers a lot of vitamins and minerals for your overall health and to help prevent cancer and heart disease. The rich amount of Vitamin C and beta-carotene in cabbage, mango, and carrots can keep the eyes, hair, and skin healthy and help to delay the aging process. I was inspired to make this Crunchy Asian Slaw recipe after my last visit to one of the best vegan restaurants in Los Angeles. For the tamarind sauce recipe, I mixed coconut milk, tamarind paste, lemon juice and a little maple syrup to balance out the tanginess. To boost the amount of Vitamin E content, I used avocado oil. You may also use grapeseed oil or almond oil in this salad dressing recipe. I sometimes like these alternatives to the strong flavor of the extra virgin olive oil, especially in Asian recipes. 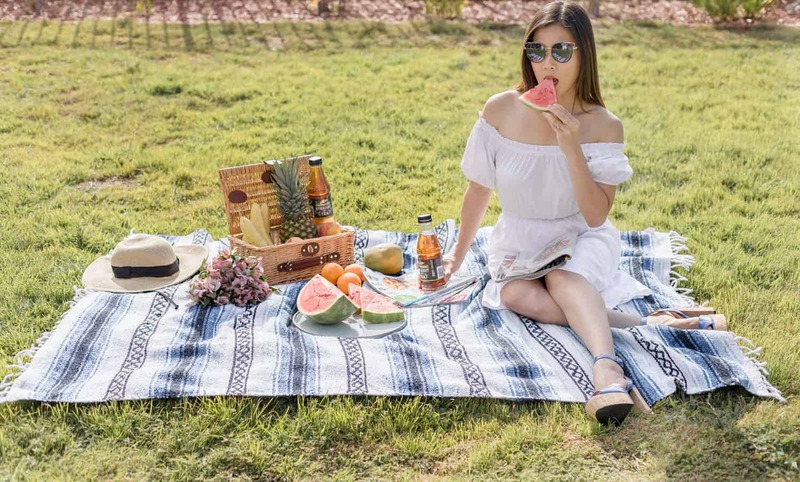 Not in the mood for Tamarind salad dressing? Try this cabbage salad with this popular mango salad dressing. I purchased the tamarind paste from my local Sprouts market. It’s an organic tamarind paste and the price is pretty expensive about $7.99 per 12 ounces. Tamarind paste is also available at almost any Asian grocery store where you can purchase it at much lower prices. The tamarind sauce goes well with this Crunchy Asian Slaw. If you ever have the chance to eat a tamarind take advantage of the opportunity! It’s delicious and different from other fruits I’ve come across. I’d say the same about other fruits from Asia as well, from durian to jackfruit to rambutan, the initial look (and in the case of durian, smell) may seem strange but give it a taste and you’ll be hooked. Tamarind has an interesting history and has been used to reduce fevers, help with nausea, and its paste has even been used to make casts for broken bones. I love the colors in this dish. It sounds yummy and perfect for summer cookouts. A nice change of pace. This Crunchy Asian Slaw recipe sounds amazing and I will have to try making it. It is so important for us to eat things like this to the things our bodies need to stay healthy. The tamarind I have never heard of but will have to try finding and trying it now. Thanks for sharing the recipe and the information. You can find the tamarind paste or tamarind fruit at any asian market. Perfect for any food or drink recipes. To be honest, I don’t think I’ve ever cooked with cabbage before. This sounds pretty good, and healthy too. Makes for a good summer recipe. Sounds like it could also be easily tweaked to use it in a wrap or rice paper wrap. That looks fabulous! I love that it is not your standard green salad. Sometimes those can get so repetitive! This would be a great salad to serve at a girls night out! Love the colour! Thanks so much Jennifer! Hope you’d enjoy this recipe. Yum this salad looks so fresh and tasty! It doesn’t look too hard to make either! I’m not familiar with tamarind paste before. This slaw sounds like it has an intriguing flavor and I love all of the colors in there. 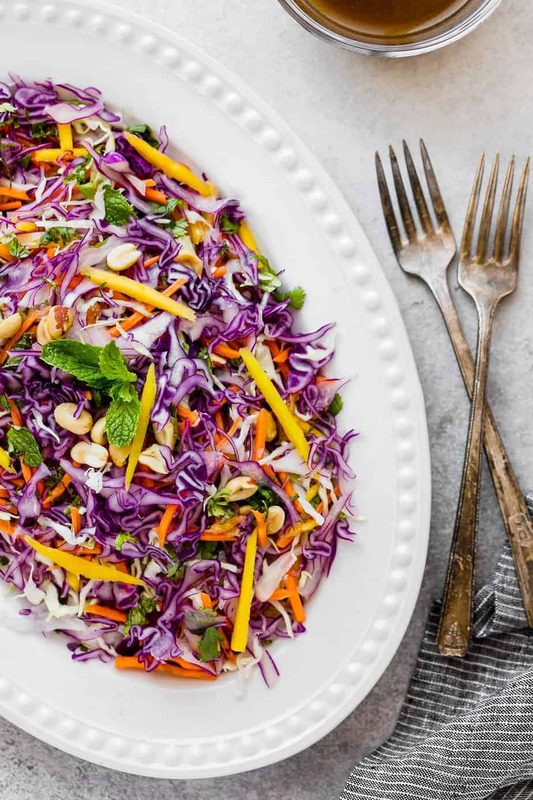 This Crunchy Asian Slaw both sounds and looks amazing!! I can see this as a side dish on many future recipes for sure. YUM! Whoo! This is something unique. I never tried to prepare something like this before. Thanks for the recipe. It’s easy to follow. That really looks delicious and nutritious. Whatever dressing, I would love to try and eat. I think I haven’t seen any red cabbage in our markets here. But i guess that salad recipe will suit my mom’s taste for veggies. We can never go out to eat to Asian restaurants because of contamination issues in their kitchens for my kids food allergies. So I’m always looking for great dishes that we can make ourselves at home. This is a really nice dish here! This looks absolutely amazing! We eat a lot of Asian inspired food because it is so easy to make it gluten free. THis is gorgeous too!